It's not often I feel compelled to blog about a singular lipstick shade, but I've absolutely fallen in love with Macaroon from Topshop. As far as my relationship with lipsticks go, I'm a bit all or nothing. I love a good bright red and have even been known to do the weekly Tesco run in a floro orange hue, but when it comes to anything slightly neutral I tend to shy away and just slick on a bit of lip balm instead. I think my problem has always been getting the right tone for a neutral lip. I usually end up with something that has too much blue and makes me look slightly zombie-fied, or a colour with a lot of brown that doesn't do anything for me. Macaroon sits perfectly in the 'pink zone'. A slightly warm toned pink with the smallest hint of coral. 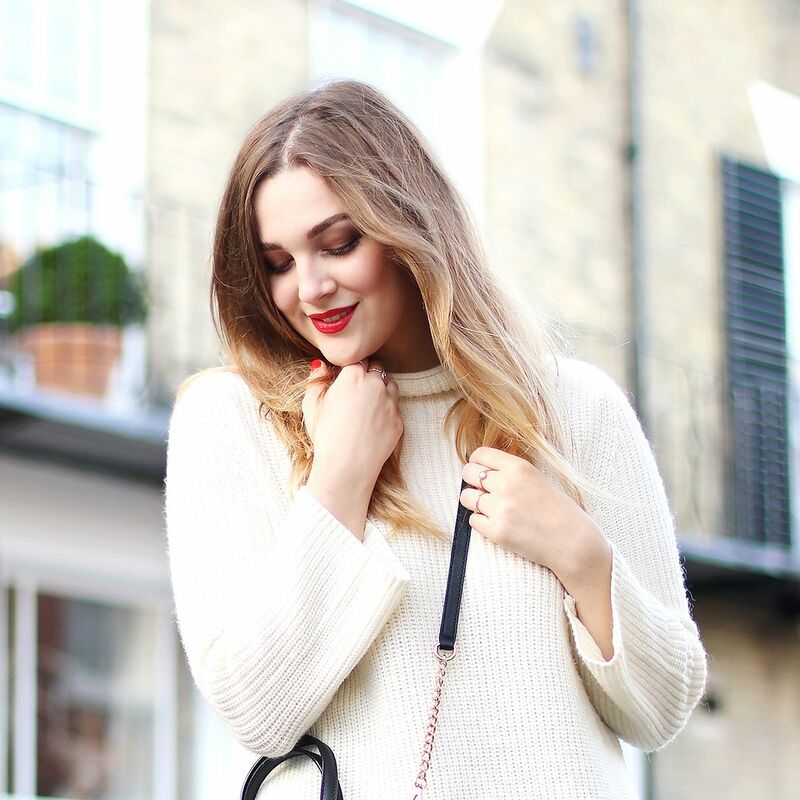 I've been a big fan of the Topshop formulas for a while and this one doesn't disappoint. It has a slight matte finish but still hydrates the lips feeling creamy as well as being super pigmented. I think it's neutral love!